I was once again asked to write a short piece for Star News, a publication for law enforcement. This article will be published August 2011. Life has a funny way of touching you at the strangest moments. If you miss those moments they will be lost forever, but if you find a moment of clarity within them they may just provide you with a moment of growth. I am writing this about three hours after one of those moments. You see, I have an absolute passion for Scuba Diving. There are very few things I have a passion for: Family, Faith, my Career, and Scuba Diving… That about sums it up! Today’s experience brought several of my passions together in a single moment of clarity. I was diving with my son off the shore of Kona Hawaii and we were about to enter an underwater lava tube. Overhead diving is the most dangerous type of diving and it was quite a thrill as father and son entered into the unknown together. Apprehension, sure. Concern, you bet. Excitement, more than you know. Here is what I learned. Whether it is Diving, Career, or Family, each of these can be improved by the lessons of this day. First lesson, never enter times of apprehension or danger alone, you need the covering of those who care for you and your safety. The first rule of diving is always have a buddy. My son had my back and I had his. We watched each other and it put us at ease in an otherwise hostile and dangerous environment. Second lesson, trust your training and the training of those you surround yourself with. Training is paramount. My son is well trained and should something have gone bad deep under the waves he would have shifted in a heartbeat from enjoying time with dad to getting dad safely to the surface. I trust him for that and he trusts me. Third lesson, use your equipment. You see, in diving, maintaining and training with equipment is first priority. Quality equipment can make the difference between life and death and redundancy is part of the program. 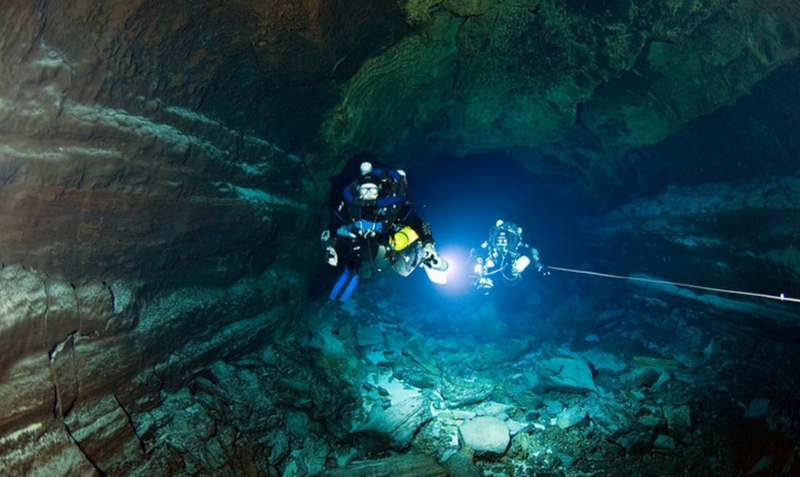 Two divers, two regulators each, two lights apiece, etc. You don’t want to be fifty feet into a pitch black lava tube, sixty feet beneath the waves, and have your light fail! Forth lesson, it’s all equally important and it is the combination of all of it that brings you home. Companionship, trust of others, trust of training and trust of equipment. Whether life or career, each item means security for life. Could I have dove the lava tubes of Kona alone, sure. Perhaps for a lifetime without incident. But what if… Breaking the rules will eventually destroy you and those who love you. Final lesson, for me, my final passion brings it all together. Faith makes it all worthwhile. Faith brings me the trust of others and the companionship that the human spirit longs for. It gives me the ability to trust and be trusted. It is my equipment for life, helping me with the times of apprehension, fear, and doubt. I approach those difficult moments in life, career and family in the same way I faced the entrance of that lava tube today, with a prayer!